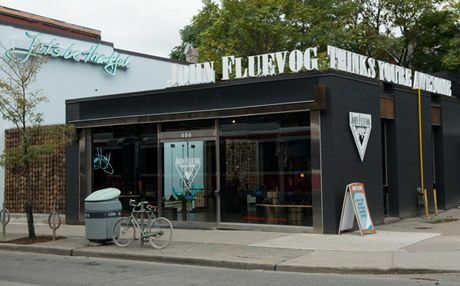 John Fluevog has come a long way since his humble beginnings in 1970 as a partner in the Vancouver shoe store, Fox and Fluevog – and boy, what a ride! Let us take you on a linear journey through the Fluevogian decades and simultaneously prove that timelines are a) awesome and b) not just for history class. Prepare for tears, laughter, and a deep understanding of the unconventional (dare we say, life-changing?) 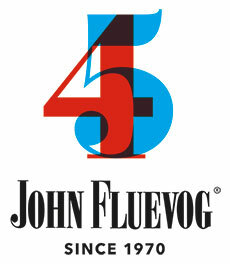 history of John Fluevog Shoes. 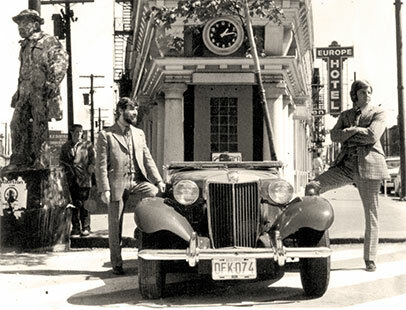 After spending a summer hitchhiking down the west coast and witnessing the 1960s Social Revolution ﬁrst hand, John returned to his hometown of Vancouver and began working for Sheppard’s Shoes. 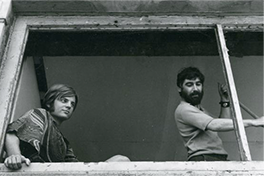 In 1970, he joined forces with fellow co-worker Peter Fox to start up their own shoe store in historic Gastown. 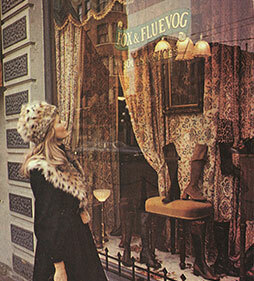 The partnership, known simply as Fox and Fluevog, lasted over ten years at which time the two split amicably, leaving John to open the ﬁrst John Fluevog Shoes in downtown Vancouver. The earliest Fox and Fluevog shoes were made from turn-of-the-century footwear that had been discovered in a Mexican warehouse and purchased on the spot by John. The duo advertised their shoes as “Brand new 50 year old shoes”. 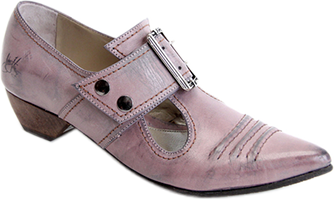 One of John’s first designs was The Pilgrim, a Victorian inspired buckle tea-strap loafer. The boldness of the style was completely against the mainstream of the time, and John has kept it unconventional ever since! 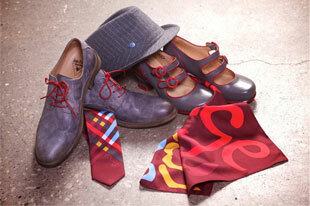 Fox and Fluevog open their first store in the heart of Gastown, Vancouver. 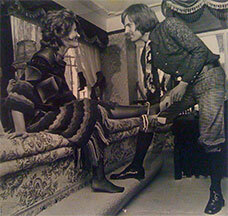 Director Robert Altman buys a knee-high boot while filming McCabe and Mrs. Miller. 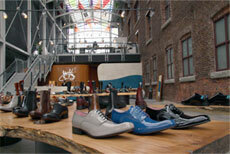 The Granville Street store opens and becomes one of the first Fox and Fluevog Stores. The building was an elaborate bedroom, with their shoes gracing a giant bed. 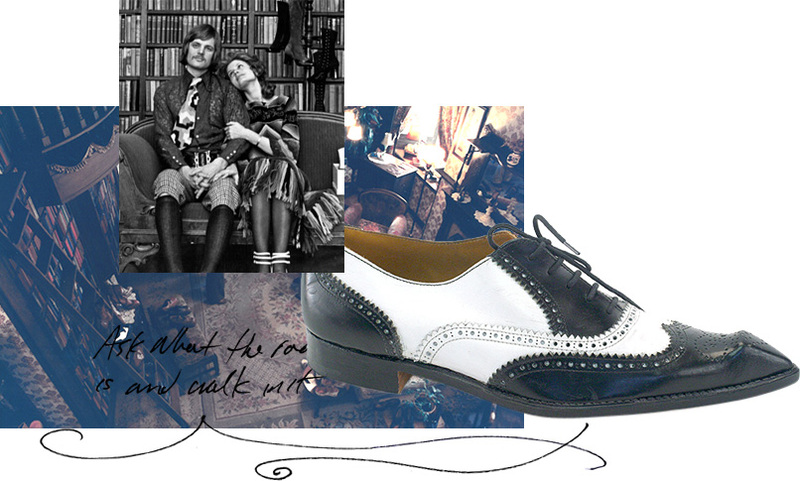 With the end of the Fox and Fluevog partnership, John Fluevog Shoes is born. Feeling the urge to go forth and spread his word, John expands his grasp into the Land of the Brave. 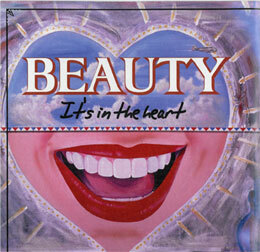 By the late 1980s, John had started producing his landmark Angel Soles. Made from 100% natural latex harvested from the Hevea Tree, the tough, resoleable Angel Soles recite the now famous JF message engraved on the sole: Resists alkali, water, acid, fatigue and Satan. 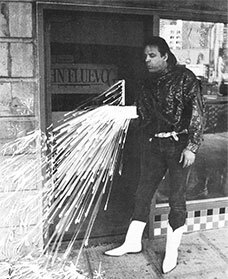 John was (possibly) the first person to sell Doc Martens in North America and he sold his styles right along next to them. Sometimes, he’d take the idea and embellish them. One of his first adaptations had leopard print and pink pony skin uppers. John sells his Jaguar to open his second store, in Seattle. The Angel Soles first appear to John in a celestial dream, or in the form of a pamphlet collected by him in a recent shoe fair in Birmingham, England. 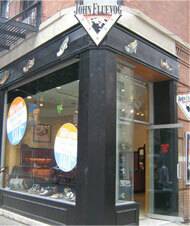 Fluevog continues to expand into the United States and opens a store in Boston. 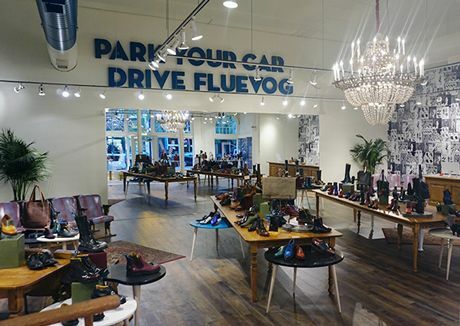 Fluevog Shoes opens on Toronto’s Queen Street. 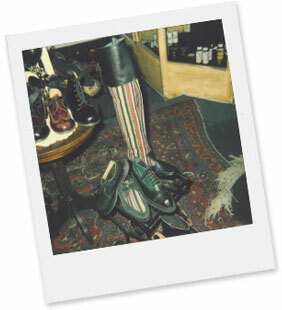 From mosh pits to dance floors, 90’s Fluevogs befriended feet from every angle with his eclectic catalogue of styles. 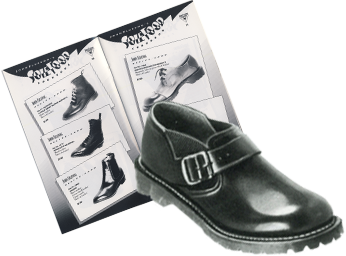 Angels became the cornerstone of the Seattle Grunge scene, inspiring a new fashion movement consisting of flannel and Angel boots by John Fluevog. 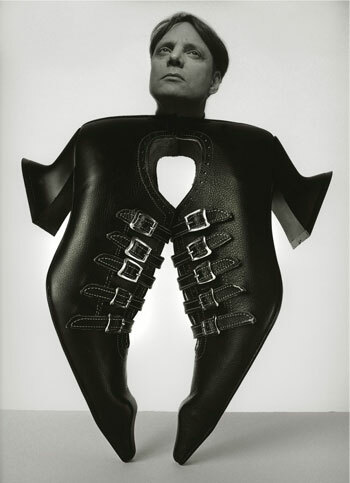 Additional exposure of John’s iconic Munsters from Madonna, who wore Vogs in the ﬁlm ‘Truth or Dare’, and Deee-lite’s Lady Miss Kier sent the Fluevog brand skyrocketing to international fandom. Angel boots spotted as an extension of torn jeans and flannel shirts all over the west coast. 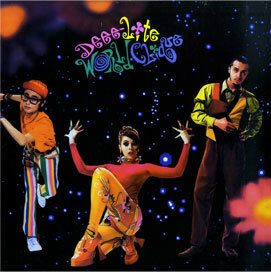 Lady Miss Kier wears a pair of Munsters on the cover of Deee-lite’s debut album, World Clique. 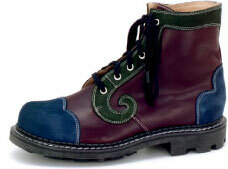 Fluevog opens the Big Apple. 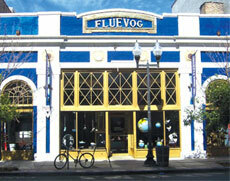 Fluevog opens on San Francisco’s Haight street. John detours in his career as a shoe designer to momentarily become a well-known phone psychic. After none of his predictions come to fruition and several clients take part in erroneous investments, relationships, and interior design choices, he realizes he always has and always will be a shoe designer. Once John realized he wasn’t going to implode at midnight on January 1st, he decided that 2000 was the beginning of a very very good decade. He burst forth from his crawl space, re-booted his computer, and replaced his canned good collection with great new shoe innovations. John continued to make traditionally-made untraditional shoes and started experimenting with eco-friendly, vegetable tanned leathers and water based glues wherever possible, keeping with his motto: good soles leave small prints (no matter what your shoe size). John launches Open Source Footwear to turn shoe-wearers into shoe-designers. John always knew that Fluevoggers are bright, interesting people (they wear his shoes, after all), and Open Source gives them an opportunity to share their ideas with Fluevog. If John likes it enough, he’ll turn it into a real-life (3D!) shoe. 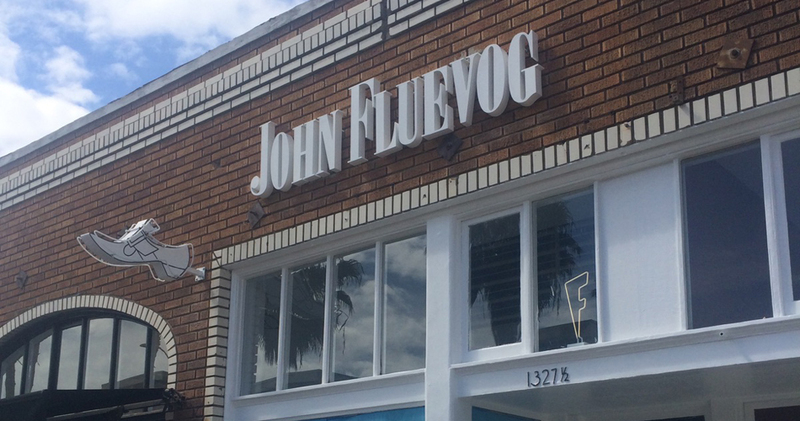 Fluevog opens in Los Angeles. John Fluevog joins up with Courtney Taylor Taylor of The Dandy Warhols to collaborate on what he knows how to do best: knit socks. Just kidding, they create a boot. 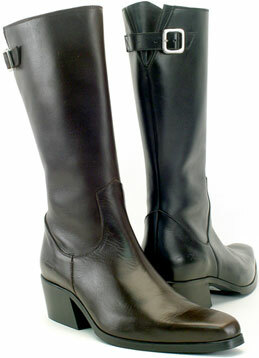 Not just any boot, a very sleek boot that excited music and fashion lovers alike (and looked pretty neat with a pair of knitted socks). 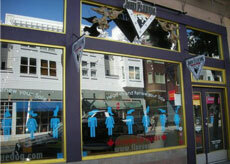 Fluevog opens again in Vancouver’s Gastown. 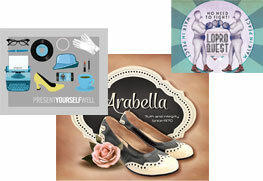 FluevogCreative, a platform that brings advertising back to the people is launched. 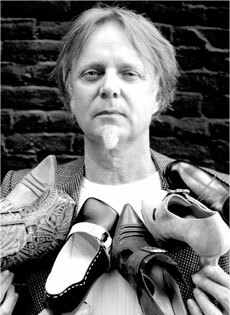 2010 and beyond has seen John Fluevog extend his reach even farther, bringing his footwear to feet of Fluevogers who had previously only worn his shoes in their dreams. 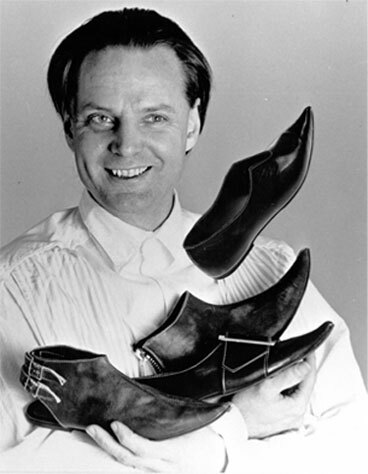 Along with new stores, John experienced recognition for a million years of shoe design with his very own exhibit at the Museum of Vancouver and was ranked one of the Most Innovative Companies in the Fashion Industry by FastCompany, thereby proving that it’s possible to simultaneously celebrate the beauty of the past with excitement for the future. Stores open in San Francisco, Calgary, Portland, Quebec, Minneapolis, Washington DC, Toronto’s Distillery district, Denver, and Ottawa! 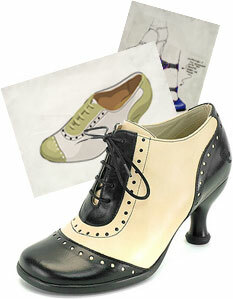 John Fluevog Shoes is ranked one of the most Innovative Companies in the Fashion Industry of 2010 by FastCompany. John and Nooka team up and discover time as we know it, and create a device they christen “a watch” to keep track of it. 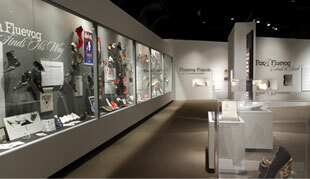 Fox, Fluevog, and Friends: The story behind the shoes exhibit at the Museum of Vancouver opens. The FlueMarket is created in direct competition to Craigslist but, for reasons still not understood by experts, ended up focusing on the selling/swapping/finding of Fluevogs. John and LA Eyeworks create the VogVision, a limited edition pair of sunglasses that not only looks fantastic on the face of any Fluevoger, but includes a special TSA-approved x-ray lens that allows you to see through brick walls and the Emperor’s new clothes (patent pending & mostly untrue). Jack White rocks The Jack boot all over the place. 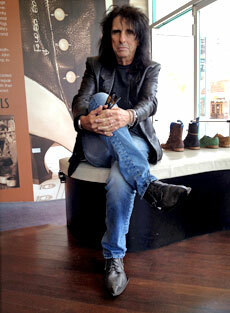 Alice Cooper rocks the Swordfish boot. 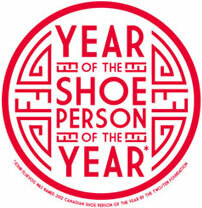 John Fluevog is named Shoe Person of the Year by the Two/Ten Foundation. John’s always toyed with the idea of Flying Vogs, but never succeeded in getting them off the ground (well, once, but they were never seen again). As plan B, he teamed up with the ever-so-fashionable, ever-so-airborne Air Canada Rouge as a much more convenient way to get his shoes in the air. Hop on an Rouge flight to experience some serious shoe eye-candy. John celebrates 45 Years in shoe-business and rather than having a nervous breakdown, celebrates by releasing a limited edition shoe on Fluevog Day aptly named, The 45, featuring his iconic vintage Munster heel. 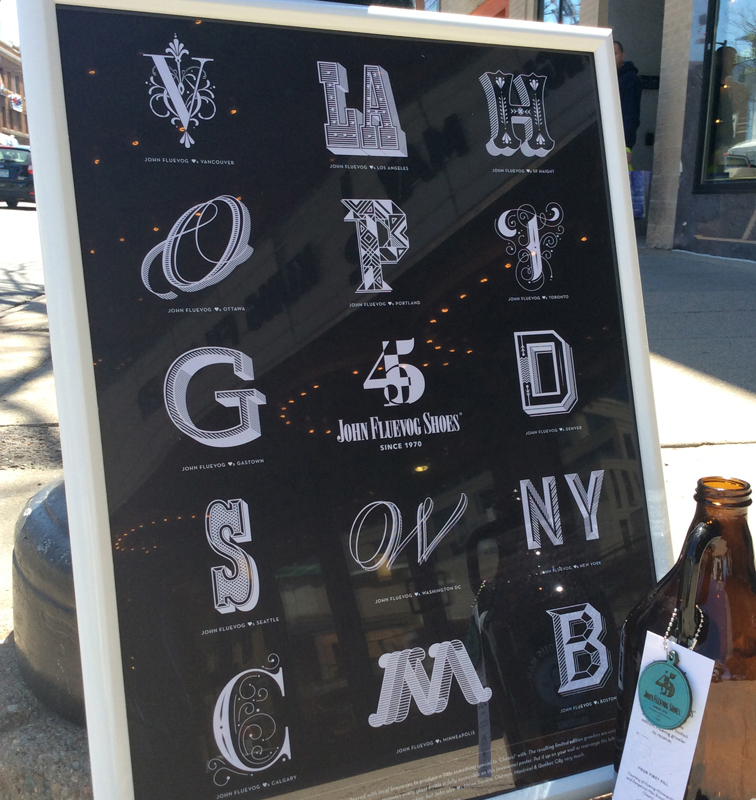 In keeping with the celebratory nature of the year, John collaborates with local breweries at participating Fluevog stores across North America to throw a series of 45 Years of Cheers parties featuring limited edition, custom growlers and original artwork prints. All guests, drinks and shoes were handled responsibly. 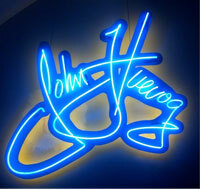 John shakes things up in the City of Angels, opening a new store in LA on Abbot Kinney Blvd in Venice, California. 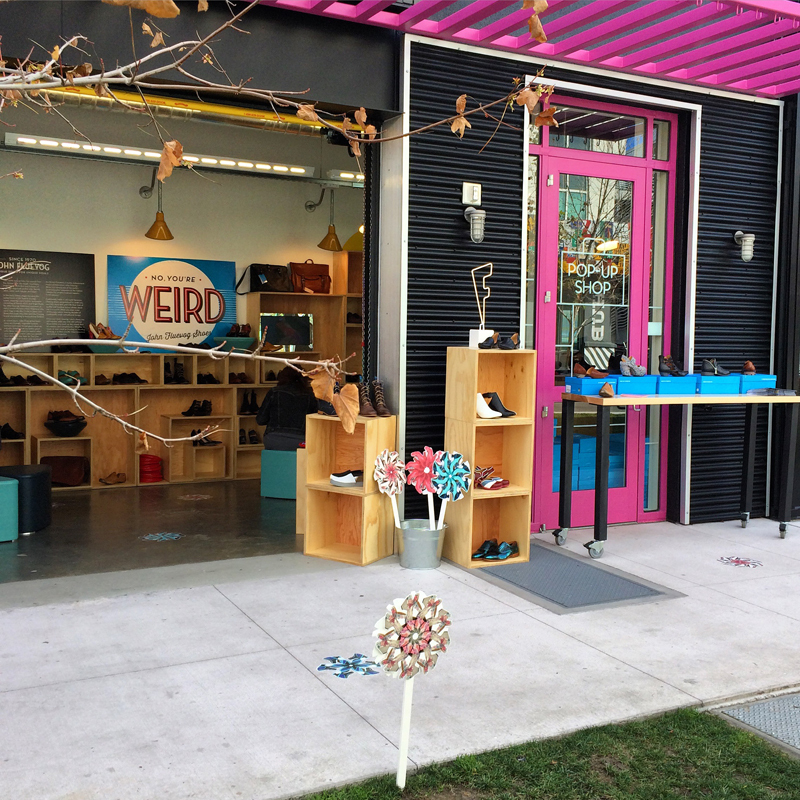 John pulls a fast one on Mark Zuckerberg by opening a Fluevog Pop-up Shop on the Facebook Campus in Menlo Park, California. The stunt was a moment of redemption for John, whose own social media platform, 'FootBook', never quite caught on the way he had hoped. 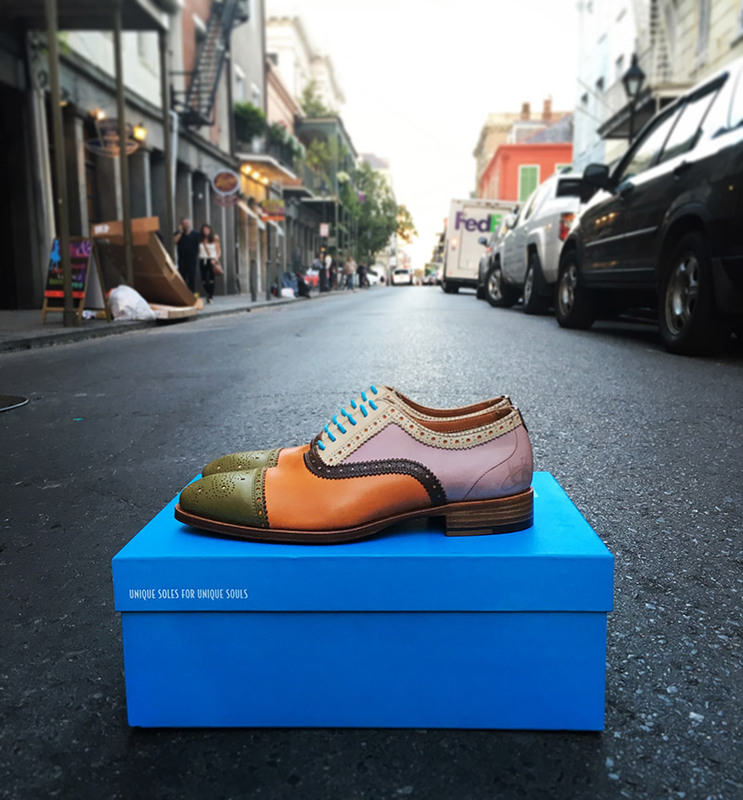 John finally makes the journey south, opening a store in New Orleans’ historic French Quarter. 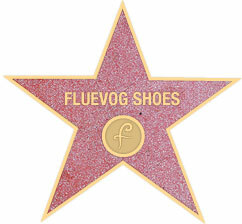 Dozens help mark the occasion on the streets with a Fluevog-themed opening day Second Line Parade! Fluevog Queen in Toronto moves down the street to 686 Queen W, successfully converting what was a former TD bank into a beautiful new Fluevog store, complete with a small patio and the world’s one and only, gravity-defying Vog Vault. 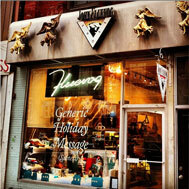 The Fluevog Gift Exchange is born! 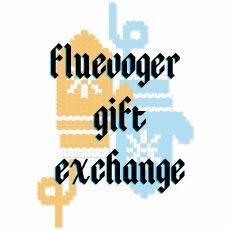 To spice things up during the holidays, the largest international Fluevog Gift Exchange is organized, sending kind words and knick-knacks travelling all throughout the Fluniverse. 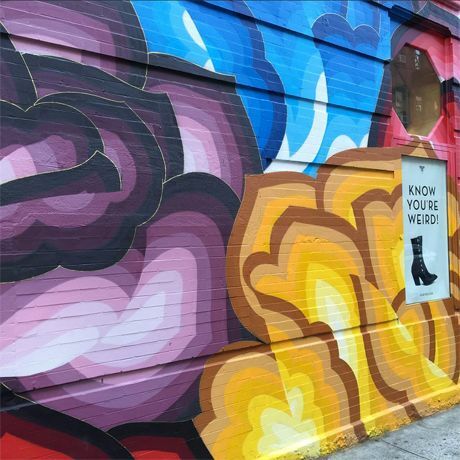 The exterior of Fluevog New York at the corner of Prince and Mulberry gets a complete makeover courtesy of a beautiful floral mural by artist and friend, Jet Martinez. 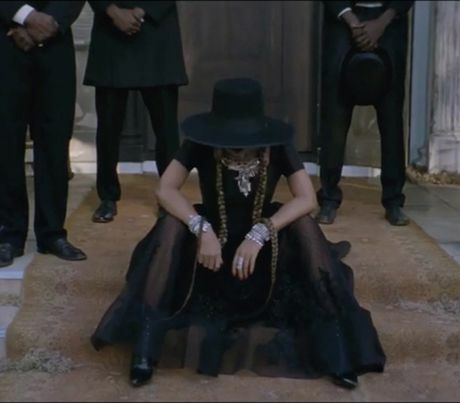 Beyoncé releases her Formation video in which she wears our Seraphina boots. We lose our collective minds. Lady Gaga takes a stroll out in New York in a pair of Cubist Cupcakes and we attempt to tell our hearts to be still. Our beloved Chicago store gets a major renovation and re-opens to reveal a beautiful wall of vintage Fluevog ads, refreshed movie theatre seating (salvaged from the old theatre that it used to be) and a custom shoe shine throne fit for a king!